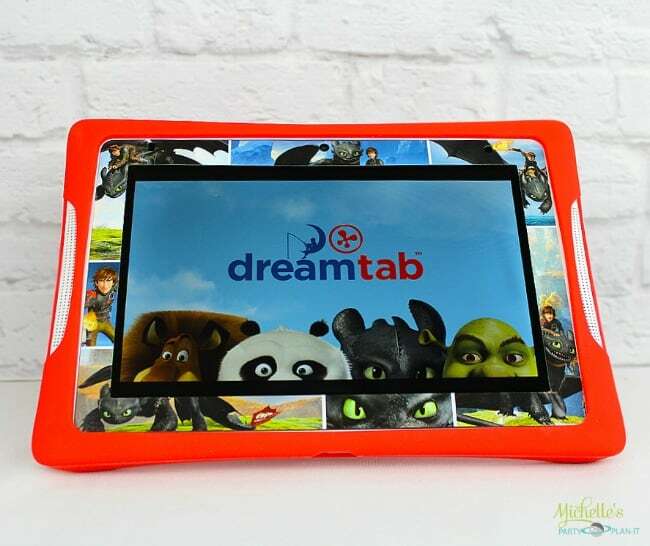 This post is courtesy of our contributor Michelle…I have been looking for a kid-friendly tablet for a while and was excited to see the nabi DreamTab HD8. 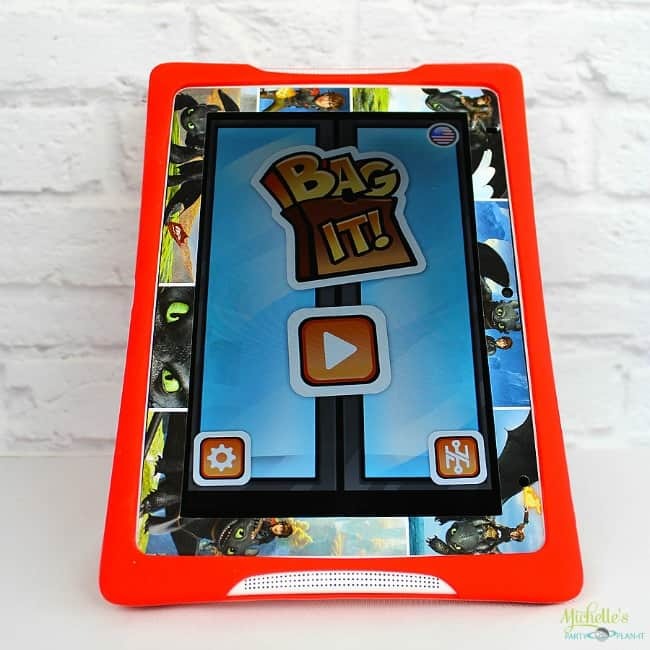 What a fun tablet loaded with kid-friendly apps and parental controls! Grab your Christmas shopping list because I know you’re going to want to make a note of this product! Parental Controls: I have three boys and their ages range from almost 5 to 15. Even though there is a huge age gap between the oldest and the youngest and they each have their own interests, they all love handheld devices. Of course since they are all different ages, different ground rules for each of them apply when it comes to free time on the tablet. Like a lot of mothers, I believe in limiting TV and video gaming time. The Time Controls within the nabi DreamTab are perfect for my monitoring needs. TRUSTe Certified and COPPA Compliant: With all the undesirable behavior out on the internet, I obviously have concerns for my children’s safety while perusing the internet or playing online games. The fact that the nabi DreamTab is the first tablet to receive the TRUSTe Certification is a plus. Coupled by the fact that the nabi DreamTab is Children’s Online Privacy Protection Act (COPPA) compliant, gives me peace of mind. The Specs: The nabi DreamTab has a large 8 inch multi-touch display with 1920×1200 Pixel resolution. The colors and graphics pop off the screen. Equipped with a front and rear camera, along with the capacity of 16 GB (and ability to expand to 32gb with the MicroSD) the boys have plenty of space to document their shenanigans. 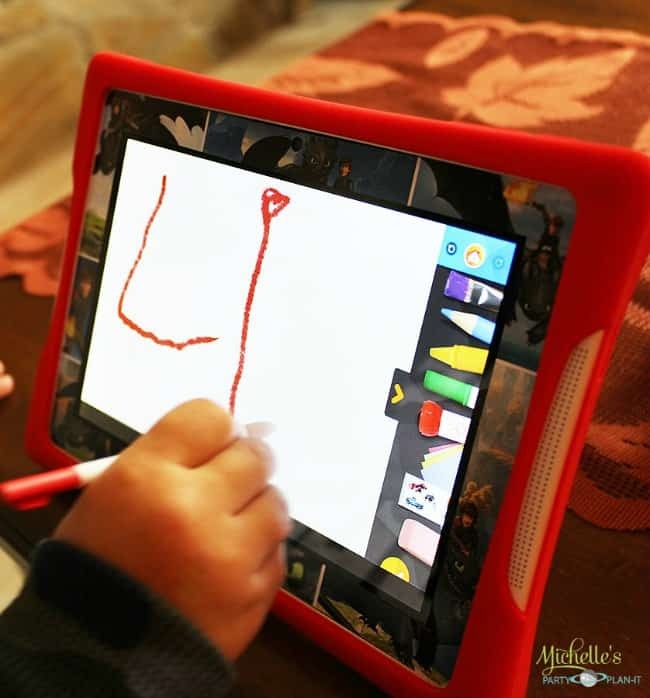 The bright red grippy DreamTab bumper helps the little hands keep hold and reduces accidental drops. 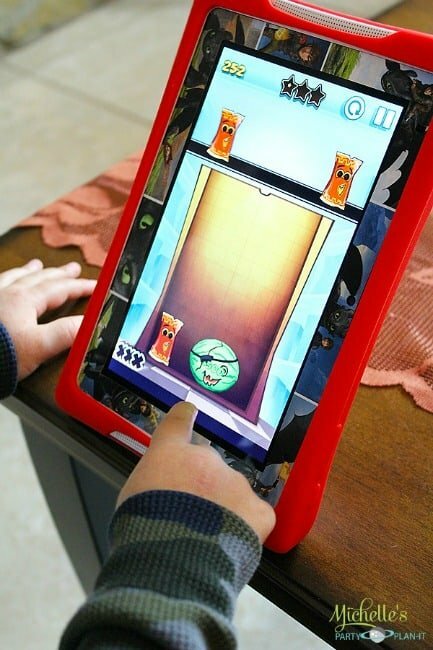 The Features: The nabi DreamTab is packed with apps that appeal to all three of my sons, it’s hard to pick a favorite. The Wings Learning System is perfect for helping my youngest prepare for school and it’s a system that he will grow with. The Draw Pad, which includes a stylus, is helping him with his writing and drawing skills. My oldest is a talented young artist and with his aspirations in graphic artistry, the Dream Pro Studio is perfect for him to share his passions with his younger brother. He enjoys creating with him, it helps bridge their age gap. All three of my sons enjoy the preloaded games and of course, we all benefit from the Chore List app. 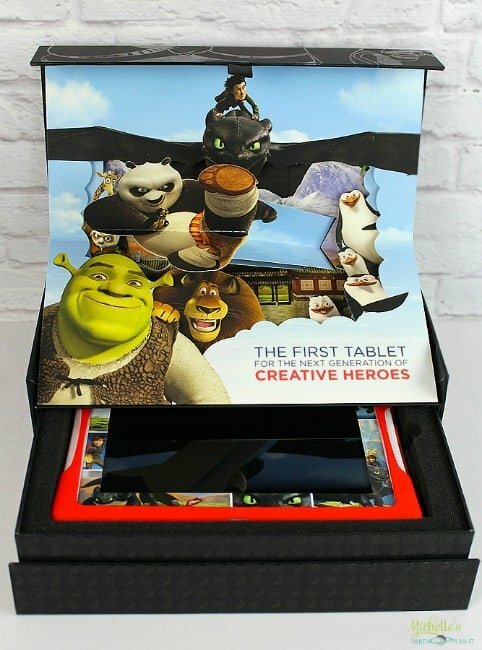 Personalization: Paper FX Frames are available in popular Dreamworks characters (Madagascar, Shrek, Kung Fu Panda, How to Train our Dragon, etc). My boys love their How to Train a Dragon – Toothless frame. 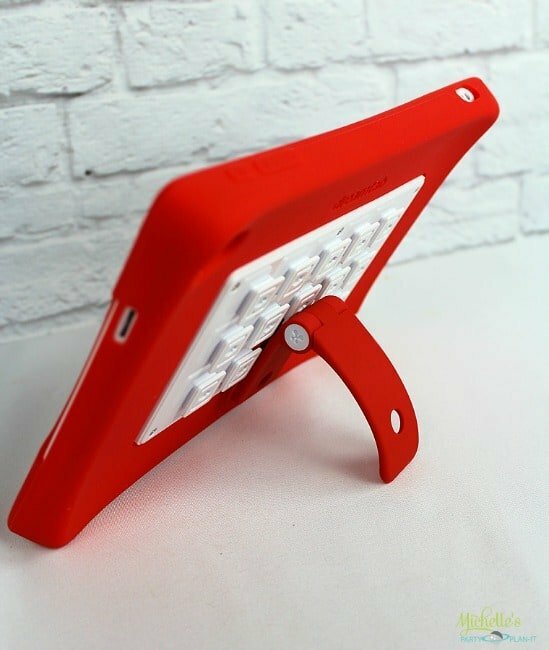 Another great accessory is the nabi Stand, it can be affixed on the back of the tablet, either horizontally or vertically depending on the app being used. 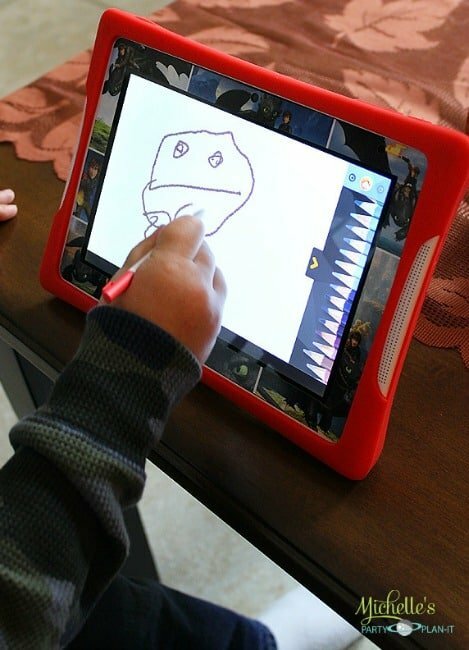 My youngest likes to use it when he draws in Dream Pro Studio, it props up the tablet at just the right angle. 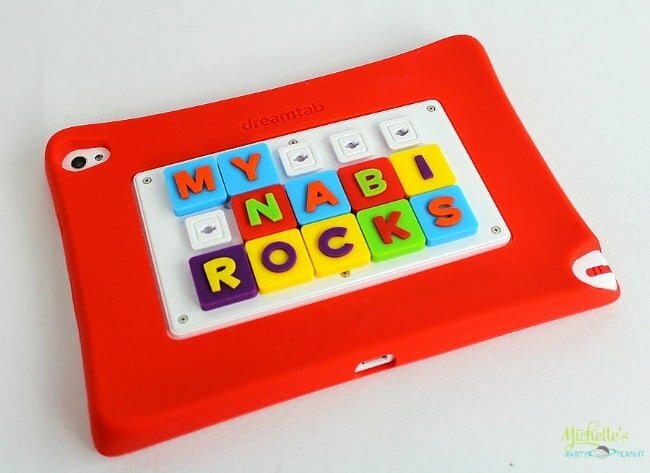 My youngest also loves the KINABI letter pack, the small rubbery letters in bright colors can be affixed to the back of the tablet and it’s a great tool to help reinforce alphabet recognition. Of course, my older two boys like to spell out phrases about each other. BOYS! What can you do? 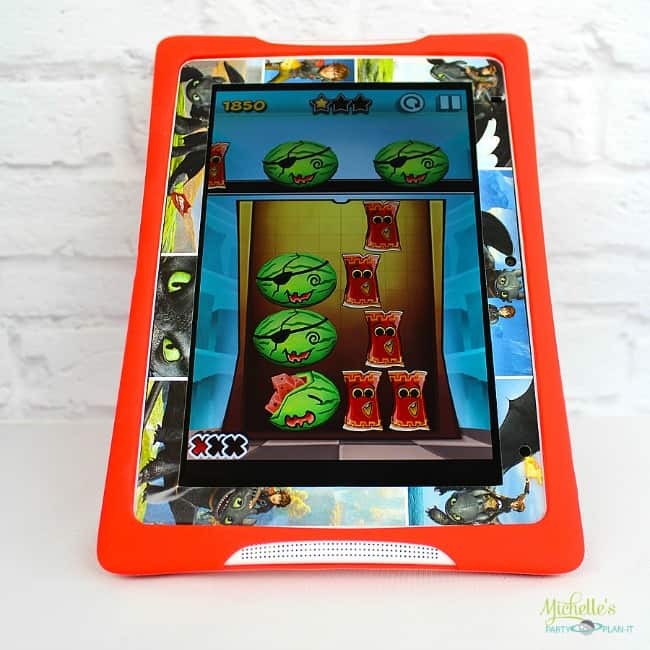 I have just scratched the surface of the many features and possibilities with the nabi DreamTab, but from what we have seen so far, it is turning out to be a great tablet for all of my boys to fight over…I mean share. With Christmas around the corner, I see myself picking up another one to help keep the brotherly love flowing and reduce the bickering during free time. We’ve also started a Pinterest board with tablet & accessory ideas. Family members and friends are always asking for gift suggestions, right? There are some great and affordable accessories that go along with the tablet you’ll purchase for your child. 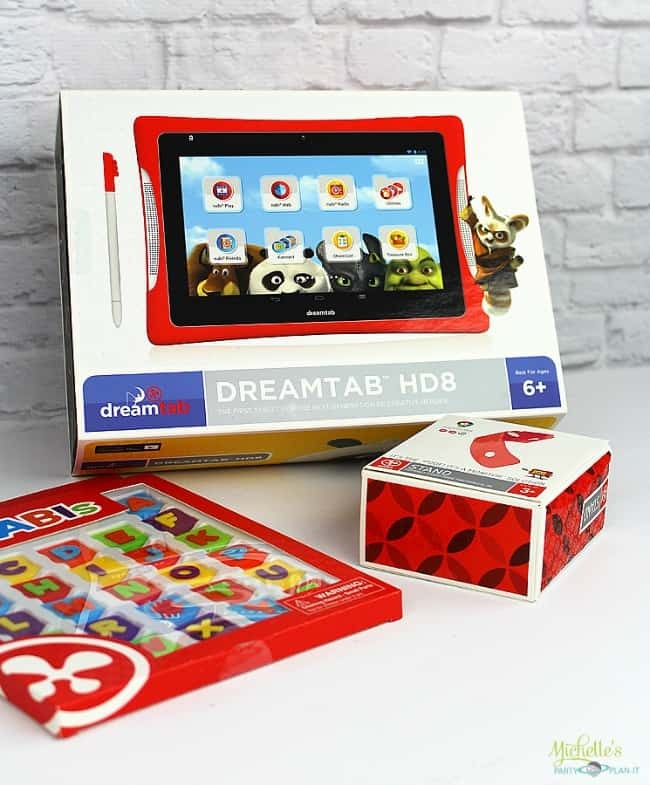 Have you tried the nabi DreamTab HD8? Do you have questions about it? Let us know in the comments below or join the conversations on social media using the #UnwrapINTEL hashtag. Click the image below to enter to win nabi headphones, a nabi care kit and the nabi armor shield. THIS GIVEAWAY IS NOW CLOSED. Awesome gift idea — my littles would love this. My boys want this for Christmas! Looks awesome!